Former Eagles coach, Joe Erico hospitalised... Get well soon! 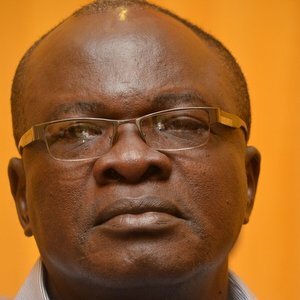 Fear gripped the Nigeria football community following the hospitalization of one time G assistant coach of the Super Eagles Joe Erico in a Lagos hospital after he took ill penultimate Monday. The former ECN safe hands when called up on phone at the weekend could barely speak as he was said to be down and undergoing treatment but a visit to him in the hospital located at the Ilupeju area of Lagos exactly a week from when he was admitted saw him in a better state of health. Erico said that he is grateful to God that his situation did not deteriorate to a state that would leave him bed ridden. “I just felt weak and tired on that Monday morning and before I knew what was happening I found myself in hospital. I was brought here and for about five days, I could hardly stand on my feet or even lift myself. It was scary especially knowing that Amodu and Keshi the two coaches that worked with me when we qualified Nigeria for the World Cup in 2002 had passed on. But I told myself it wasn’t my time and that’s why you can see me sitting up. Asked the nature of his ailment, Coach Erico said he was diagnosed of acute malaria which resulted in him urinating blood but that he is glad that he could move again on his own with the aid of an assistant. Hopefully, I should be out of here in a few days time when the doctors permit me to go,” he stated with some degree of relief.